Taking your music and media with you is expected. Whether it’s an Apple iPod, a portable MP3 player, a USB thumb drive or a smartphone with audio/video content, we all want to connect these easily to the car. These are all versions of ‘portable media devices’ and they’re in just about everyone’s pocket, purse or hand. JML Audio offers many device-specific solutions, as well as many custom options that accommodate easy connection to just about any vehicle for any preference of your handheld portable media device. Translation, we know how to make it easy to connect your ‘stuff’ to your car, all while keeping them charged and connecting with the best quality sound. 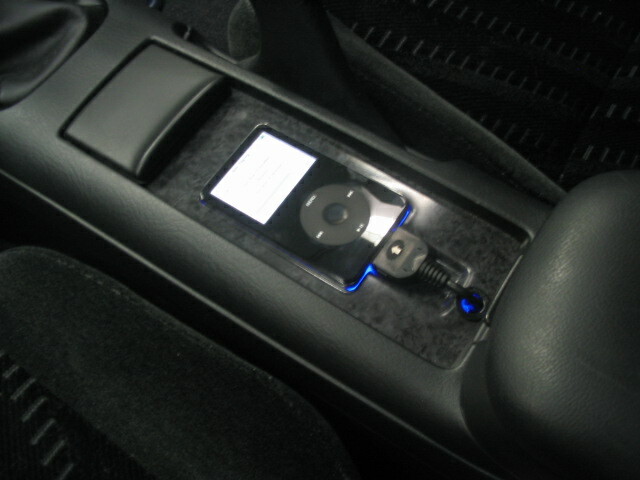 If you are an Apple iPod, iPod Touch or iPhone user, we have many comprehensive solutions to connect your device to your car’s audio system by direct plug-in to the bottom docking connector. This offers a one-cable, one-connection solution to everything: charging, audio output, control of track up/down/play/pause, song information and (in some cases) video output or album art. We also have single connection Apple iPad solutions for many applications. Whether you have a factory-installed radio or one of our aftermarket in-dash head units, there are many easy-to-use options our System Design Consultants are happy to demonstrate. At JML Audio we are able to connect your Android or Windows-based smartphone to your car’s audio system for use as a music and media player. We can connect these using wired solutions, or in many cases we can connect wirelessly over Bluetooth audio streaming. We can also hard-wire charging cables so you have a cleaner connection instead of a cigarette lighter charger. Visit us and discuss your specific vehicle and Android or Windows-based phone options today. We offer many easy solutions to connect USB thumb drives with music files to your car’s audio system, whether it’s a factory radio or an aftermarket in-dash head unit we install. Control of the music files and access to song/artist information is part of our easy to use solution so that you simply drop music files from your computer to the USB drive, then plug in your car and enjoy hundreds of songs at your fingertips. Ask one of your expert System Design Consultants for more information. Any portable music player that uses headphones or ear buds can connect easily in your car. Once again, JML Audio offers excellent solutions for both factory installed radios or aftermarket in-dash head units. Don’t listen to the tiny built in speakers or use headphones in the car. Connect your media player easily and enjoy a greatly improved sound quality in the process. The ease of connecting your portable media to your car’s sound system is something we value at JML Audio. Let us show you the wide range of options you have available, whether you currently have a factory-installed radio or you’re seeking an upgraded aftermarket in-dash head unit. We have options that cover nearly every make, model and year of vehicle. Schedule a personal consultation with our System Design Consultants today to learn more and find a solution that’s just right for you. The ease of connecting your portable media to your car’s sound system is something we value at JML Audio. Let us show you the wide range of options you have available, whether you currently have a factory-installed radio or you’re seeking an upgraded aftermarket in-dash head unit. We have options that cover nearly every make, model and year of vehicle.